Does your garden seem lifeless? Predictable? 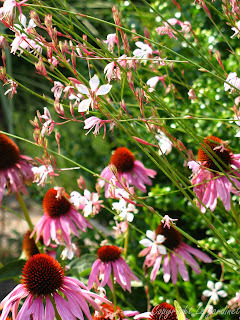 Even after taking into consideration size, shape, texture and color of each plant there are times when the garden can seem to be missing something. Gardens are most interesting when not everything is viewed at once but revealed in stages, creating a sense of anticipation and mystery. One way to do this is to use see–though plants, creating a scrim through which other parts of the garden can be glimpsed. These scrim plants typically have basal foliage or very finely textured leaves, thin wiry stems and loosely held flowers. 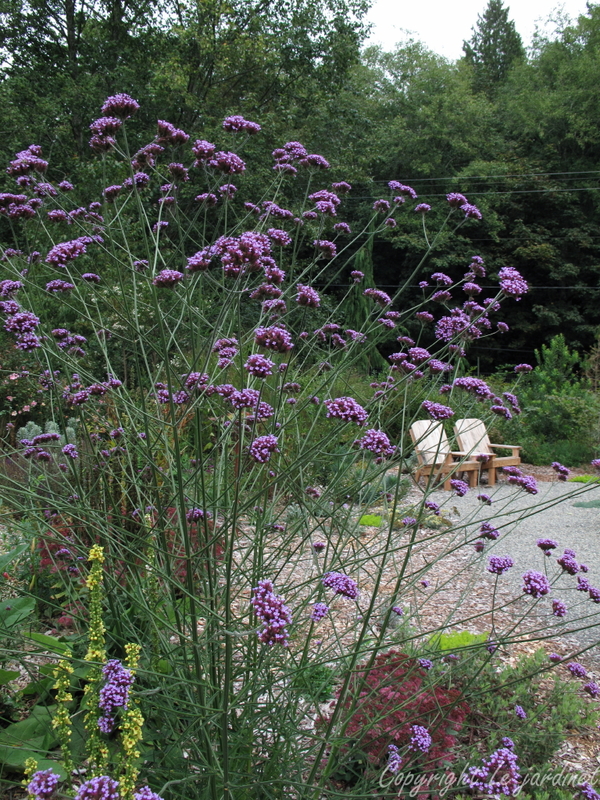 Such plants often provide movement and add an ethereal quality to a border which might otherwise appear rather stiff. Baby’s breath (Gypsophila paniculata) is the quintessential scrim plant, a favorite ‘filler’ in wedding bouquets. It needs alkaline soil so does not do well here in the Pacific Northwest. For those with the right conditions, however, these airy white flowers form a delicate veil amidst its companions. Even if it never flowered I would grow meadow rue (Thalictrum sp) for its maidenhair fern-like foliage. The delicate lilac flowers atop 6’ tall stems of the lavender mist meadow rue (T. rochebrunianum) are an attractive bonus in late spring, making attractive cut flowers for the home and a welcome transparency in the garden. If you are looking for something in the burgundy color family take a look at Knautia macedonica (sometimes called crimson Scabious) or one of the varieties of Japanese burnet (Sanguisorba obtusa.) 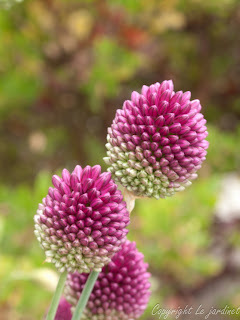 Both have small lollipop like flowers atop stiff stems that move in the breeze. Or what about the ornamental drumstick onion (Allium sphaerocephalon) with its bi-colored flowers and interesting seedheads? Very easy to grow, drought and deer tolerant, inexpensive and multiplies nicely without being aggressive. 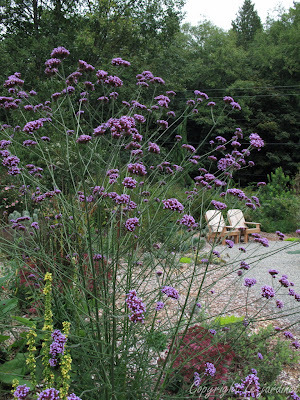 The herbs dill and fennel rely on their soft, feathery foliage rather than flowers to offer a scrim. Indeed be sure to deadhead the fennel to prevent prolific self seeding. The bronze variety of fennel is especially attractive. 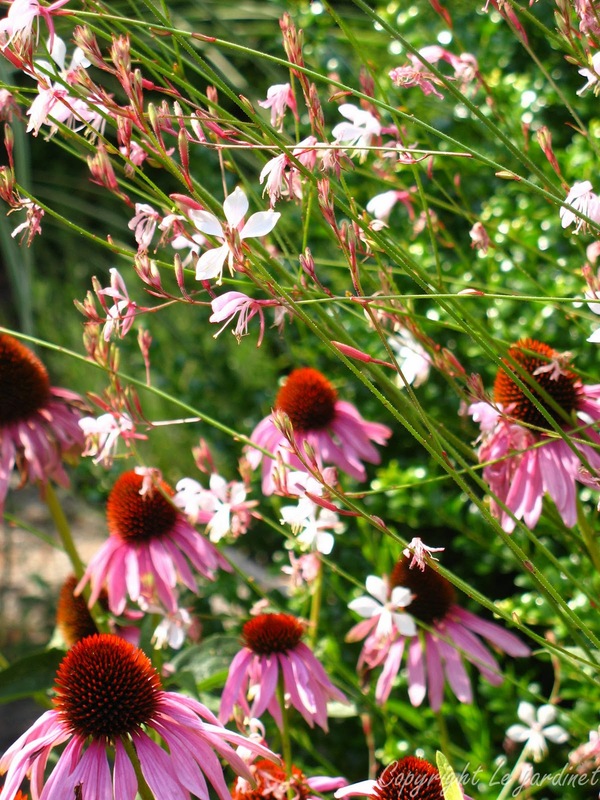 Grasses which have a basal clump of foliage and tall inflorescences (flowers) are ideal for adding mystery. Two of the best are moor grass ‘Skyracer’ (Molinia arundinacea) and the giant feather grass (Stipa gigantea). These have it all – movement, sound, delicate texture, food for the birds and sufficiently visually arresting to catch your attention even from a distance. Remember to also make the most of back lighting and you will create a memorable vignette. So loosen up your design. Add one or more of these gauzy plants and create a little mystery in your garden.